Thursday we got 2 inches of rain in an hour. Add that to the already saturated soil, and we had standing water in many of the beds. 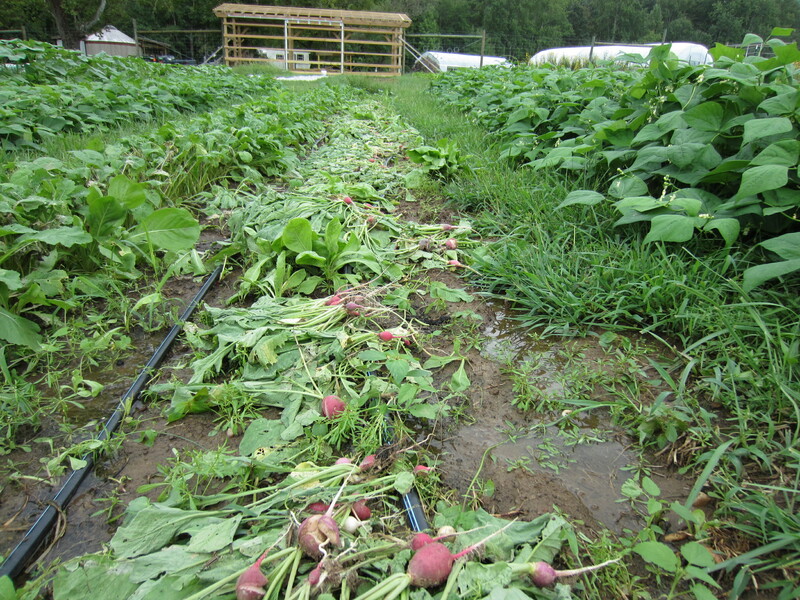 I had just harvested this row of radishes before the deluge. As you can see there are a lot of culls! 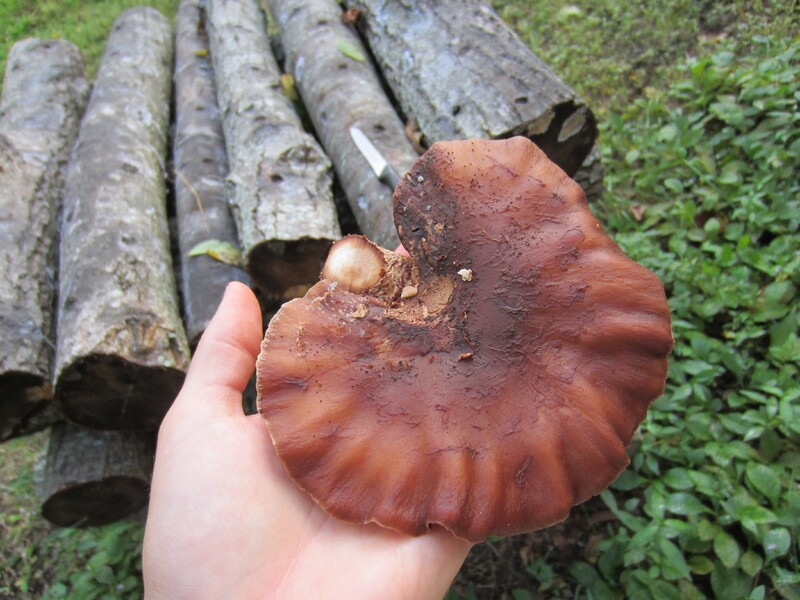 We harvested our first shiitake last week! It is somewhat of a miracle because we have completely neglected to water our pile of logs since we inoculated them in March. However, this delicious morsel has us thinking about more active management and possible expansion of our crop in the future. Because who can resist a gorgeous fresh mushroom like this! 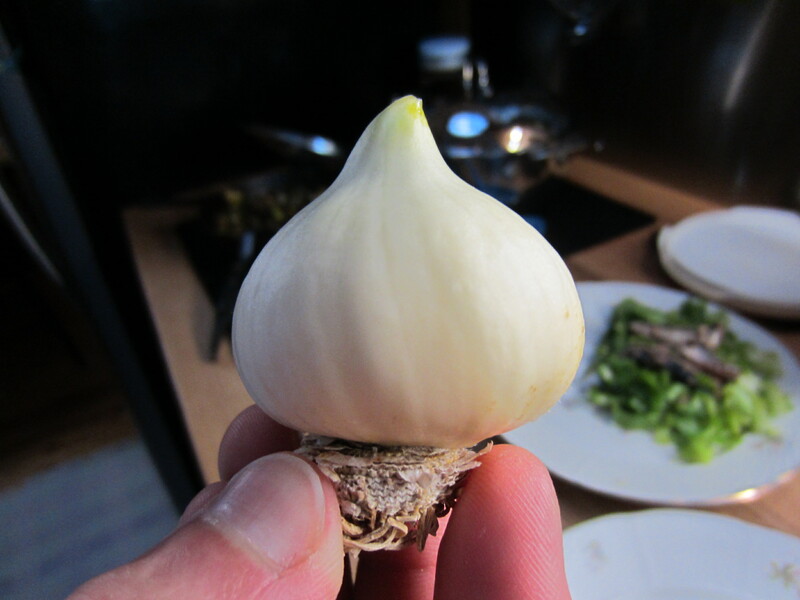 We usually only get to eat seconds here, and in our bowl of garlic we came across two bulbs that consist of a single clove. 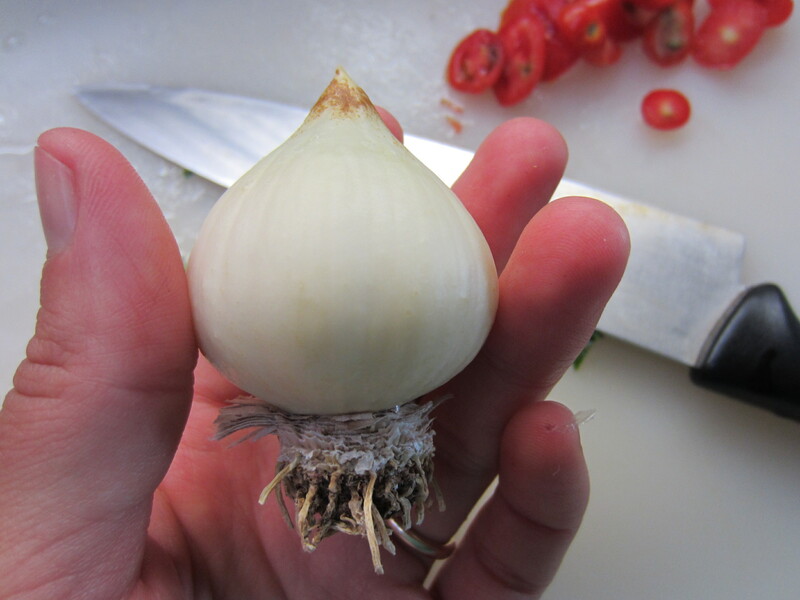 Just think, if all garlic were like this, we could save a lot of time peeling! I decided it was time to do some canning. We have very little freezer space, so canning is the only way we’ll have good stuff to eat in the winter besides root crops and what we can glean from the fields. 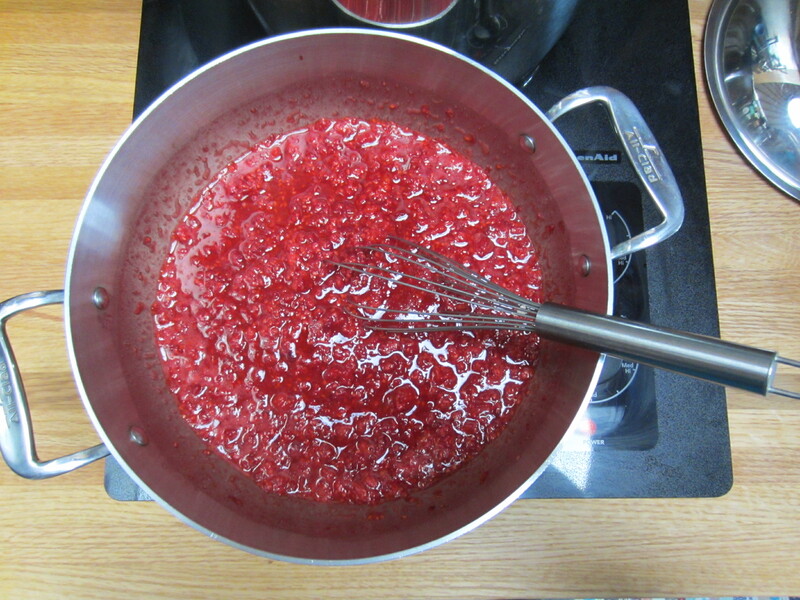 Now that the raspberries are coming in I wanted to make jam. 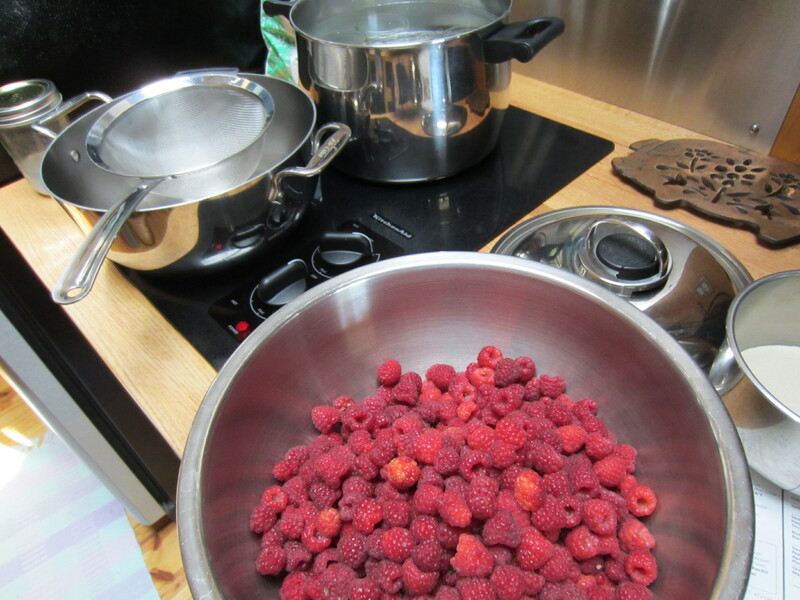 My grandparents used to have a large raspberry patch, and as a kid I remember my grandmother making The Best raspberry jam. My batch didn’t turn out quite so good. The consistency is a little stiff. 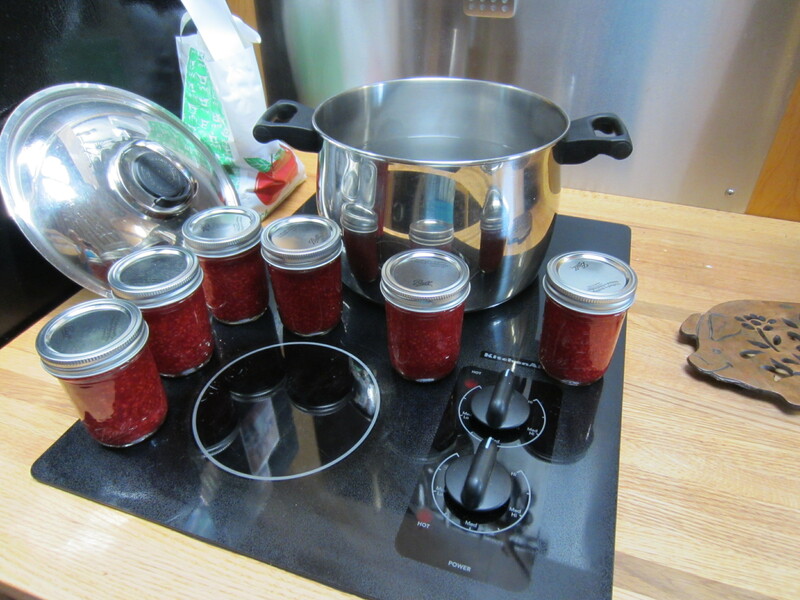 I have a lot to learn on the canning front. But at least we have something put up for winter! Gavin found this snake hanging out under the yurt. 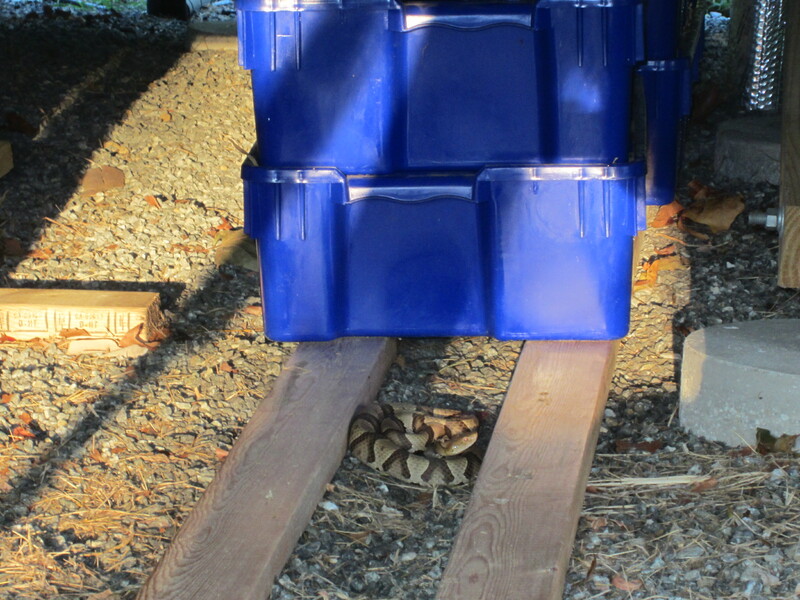 Looked up the markings online: it’s a Copperhead. Definitely not too happy about that, but hopefully he has moved on. And eaten a lot of rodents on his way. We have seen very few snakes here. 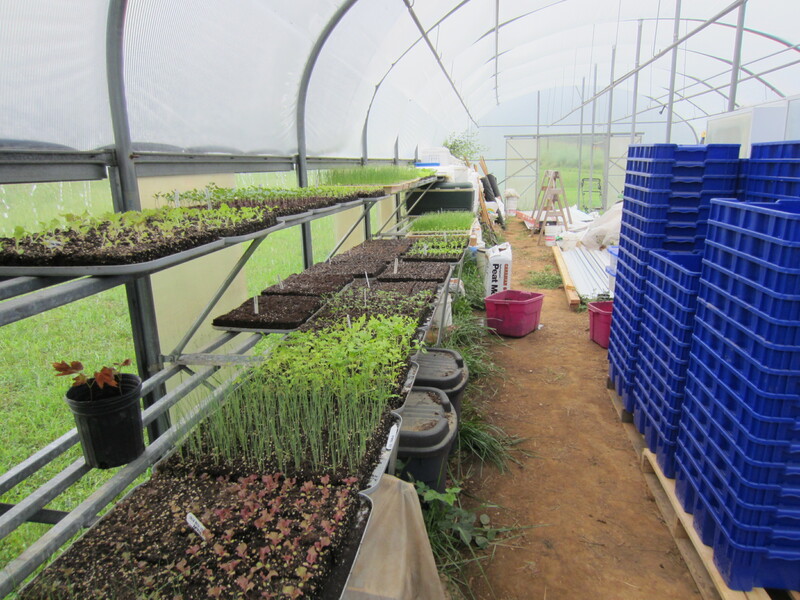 With all the rain we’ve had our beds aren’t quite as ready for planting as I’d like, but I hope to get some of these trays in the ground today regardless. This will be one of my last big transplanting efforts of the year! Big snake, ack! Glad it moved on without any issues. At least it was outdoors… not like those spiders you have lurking around!